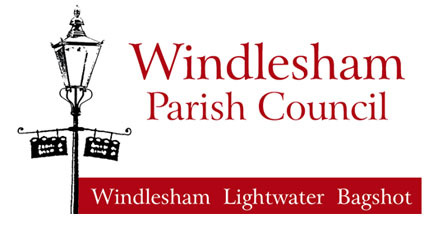 For all trees owned and managed by Windlesham Parish Council the Surrey Heath Tree Management policy will be implemented and can be viewed using the following links opposite. What can be done about High Hedges? The right hedge can be an ideal garden boundary but the wrong hedge may bring problems, especially if it is allowed to grow unchecked. Is the hedge - or portion that is causing problems - made up of a line of two or more trees or shrubs? How do I report illegal work to protected trees or there are trees which you think should be protected? Who is responsible for the maintenance of Trees subject to TPO? The owner of a tree subject to TPO is responsible for its maintenance, as is the case if a tree is not subject to TPO. My neighbour's tree is overhanging my garden, can I prune it? If the tree is subject to a TPO, in a conservation area or subject of a restrictive planning condition you will need to follow the procedures listed above to obtain the consent of the Council to prune any part of the tree, overhanging or not. Pruning of overhanging branches only, which would render the tree one sided or unbalanced, would not be agreed. If the tree is not subject to any restrictions imposed by the council you have a Common Law right to prune overhanging branches back to the boundary only of your property but not beyond and may not enter adjacent land to carry out the work. It is always advisable to be polite and to inform your neighbour of your intention to prune their trees and to agree the method of disposal of the prunings which remain the property of the tree owner. Note: The tree owner is not obliged to pay for, or undertake the pruning of limbs overhanging a third party property. I think my tree is dead/dangerous - can I remove it? Any protected tree that is dead and /or assessed by a specialist to be imminently dangerous can be removed without the need to submit an application to gain consent of the Council. If a part of a tree poses an imminent danger i.e. split or hanging limb, that part which poses the danger may be pruned without an application to gain consent. However, the onus of proof that a tree was dead or imminently dangerous rests with the tree owner and the advice and guidance and written opinion of a qualified Arboricultural specialist is needed. It is often difficult to tell if a tree was dead or dangerous from the stump remaining after felling. If you plan to remove a tree without an application, and if safe to do so, it is advisable to give the Council five day's notice in writing and marked for the urgent attention of the Arboricultural Officer. This will give the officer an opportunity to make a site visit to check that the tree is dead or imminently dangerous and confirm that it can be removed without consent. If the Tree Officer has not visited the site prior to a trees removal it is a good idea to take photographs of the tree which clearly shows its condition. Note: Protected trees removed by way of exemption [dead] or five days notice may need to be replaced and the Council will issue a Tree Replacement Notice, which is a legally binding Condition. Can I search online to see if my property has a TPO? Please note: The information provided by the website is for general guidance only. Whilst every care has been taken in compilation of information, Surrey Heath Borough Council or its employees cannot guarantee its accuracy and will not be liable for any loss, damage or inconvenience caused as a result of using these pages. A copy of a TPO can be obtained from The Land Charges Department of Surrey Heath Borough Council. The request for a copy of a TPO must be in writing and accompanied by a fee of £40 (inclusive of VAT). The council does not conduct inspections of trees for private residents or supply a tree pruning service.